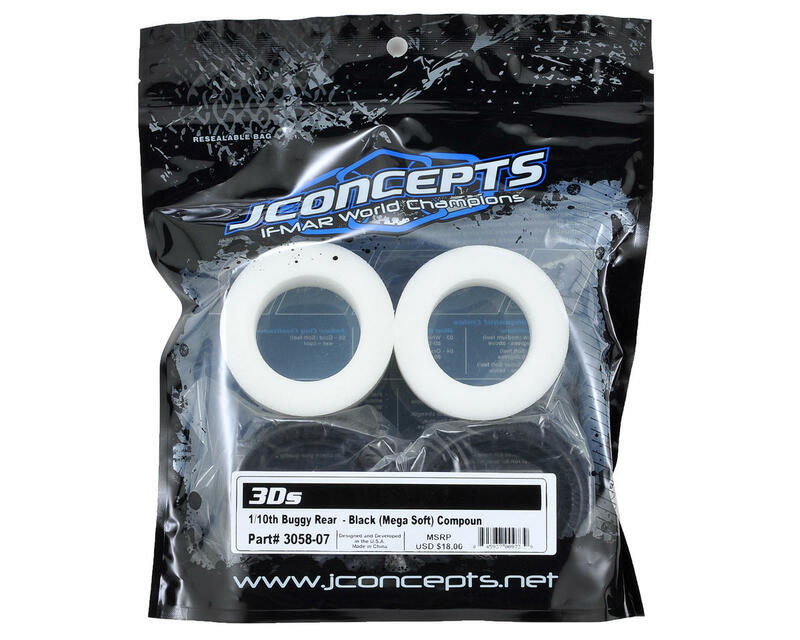 This is a set of two JConcepts 3D's 2.2 Rear 1/10 Buggy Tires. 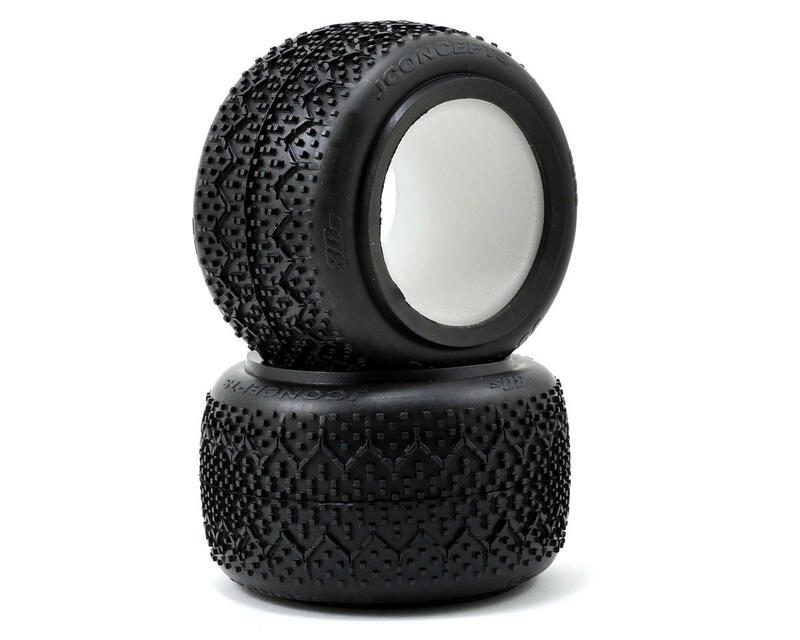 Straight-out of the JConcepts Third Dimension are the creatively designed 3D's 1/10th buggy race tire. Debuted at the IFMAR World Championships in Pattaya, Thailand for the 1/8th buggy class, the 3D's designed by Jason Ruona and tested by the JConcepts Team are a first of their kind. Developed to be the ultimate Slick-groove tire, the 3D's are a first to combine the high-stability design of a black groove bar tire into an individually flexible pattern of finely spaced Double Dee lugs in one package.